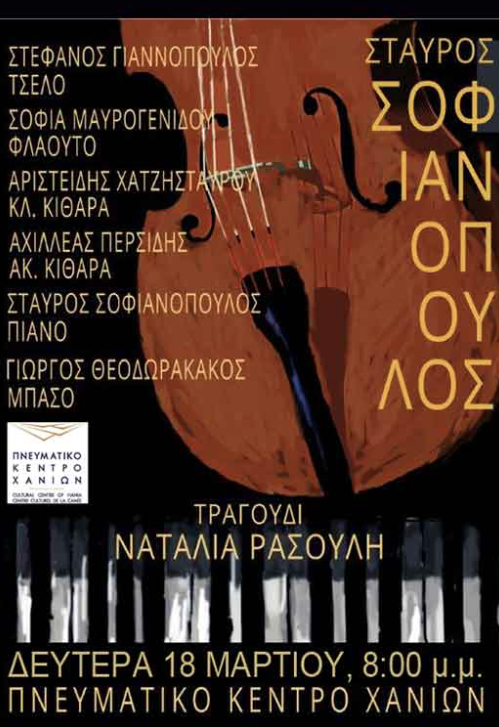 WHERE: Cultural Centre, Andrea Papandreou 70, Chania, on Monday March 18, 2019 at 8.00 pm. “… On 10th March in 1978 I found myself in Chania for a short day trip, but it lasted until September 1982. i left Chania with a suitcase and a piano I had bought. The acquaintances and experiences during this period have accompanied me to this day.